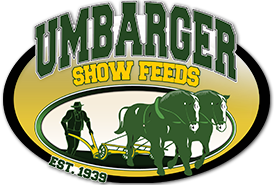 Kent Bennington joined Umbarger Show feeds in 2014 as the Show Pig Specialist, as well he covers the Indiana and Illinois trade area. He also has been a part of Kilmer Swine farm for over 20 years and is a member of Weaver Livestock pro staff team. He is a graduate of Black Hawk East and Western Illinois University. Kent brings several years of experience and a strong passion for the show industry. 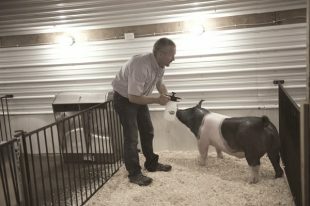 His family has shown several State and national champions and he has judged major swine shows all across the United States. Not only does Kent have a strong livestock and show feed background but one of his best strengths is working with youth. He has been big part of several livestock clinics across the country. Kent and his wife Carla have 7 kids that keep them busy. Most of their spare time is spent following the kids in sporting events and at livestock shows.